The school semester ended this week and I almost near the end of my degree. I have not been photographing or blogging as much as before, but hopefully I can resume once I am less busy. Yesterday morning I went out for a walk to the Fletcher Wildlife Garden hoping to photograph some wildlife. But it was too snowy, and not many creatures were out and about. 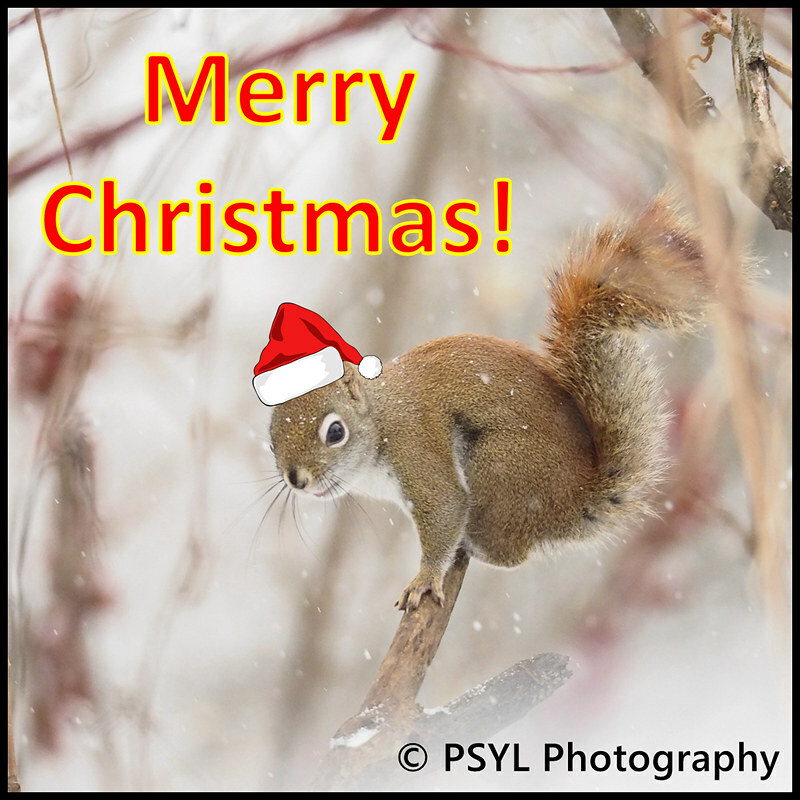 I saw one cute American red squirrel (Tamiasciurus hudsonicus) crouching on top of a branch looking a bit cold. Goodbye to my Four Thirds equipment & Hello to a new lens. One thing I forgot to mention in my previous post was that I recently sold my unused Four Thirds equipment (Olympus E-620 and three lenses) as a part of the Olympus trading promotion, and I bought a new Olympus M.Zuiko 45mm f/1.8 lens. I really enjoyed using E-620 and the associated lenses, and hopefully the company receiving it will find it a good home. I have been using my new lens for a while now, and it is versatile, sharp, and quick. For example, I can shoot landscape and portrait with this lens. Autumn colours along the canal at the beginning of the month. 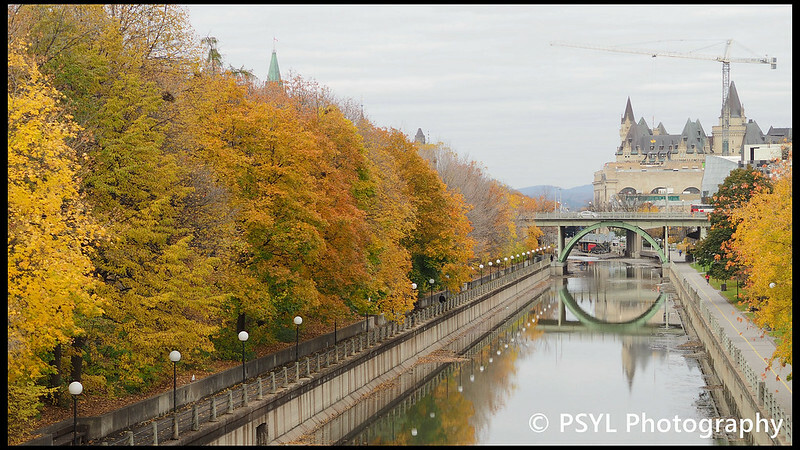 Yesterday, my girlfriend and I attended the Festival végane de Montréal, and I took some photos of the autumn colours in Montréal and compared them to the photos I took last month in Ottawa. 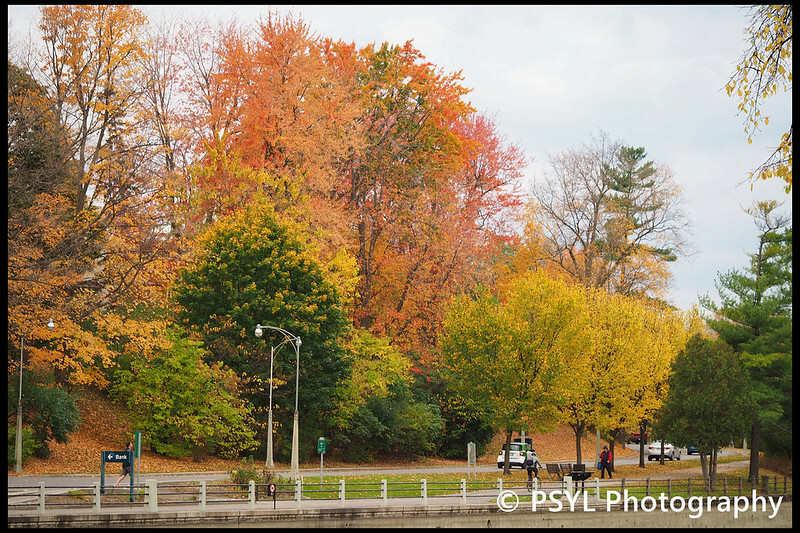 Autumn colours along Rideau Canal. 2017 marks the sesquicentennial anniversary of Canada, and there are many celebrations happening in the capital city. 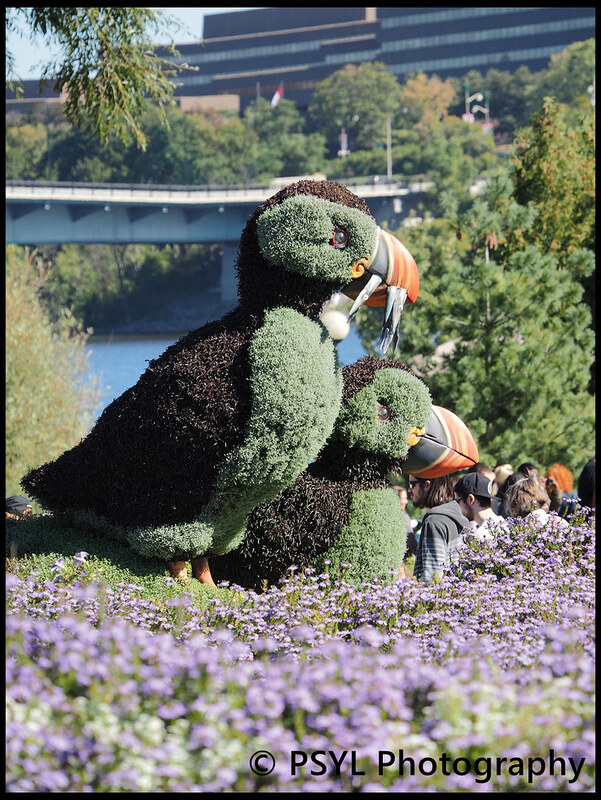 The most current one (from June 30 to October 15) is MosaïCanada150, which consists of artistic displays made out of flower beds (a.k.a. mosaiculture). I went there twice, and each time there were many visitors which made photographing the displays very challenging. Here are some of the photos without many people in them. My parents are currently visiting me and wanting to see the changing fall colours here in eastern Canada. I booked a tour trip to Mont-Tremblant today, and although some of the views were spectacular, the fall colours were not at peak yet. 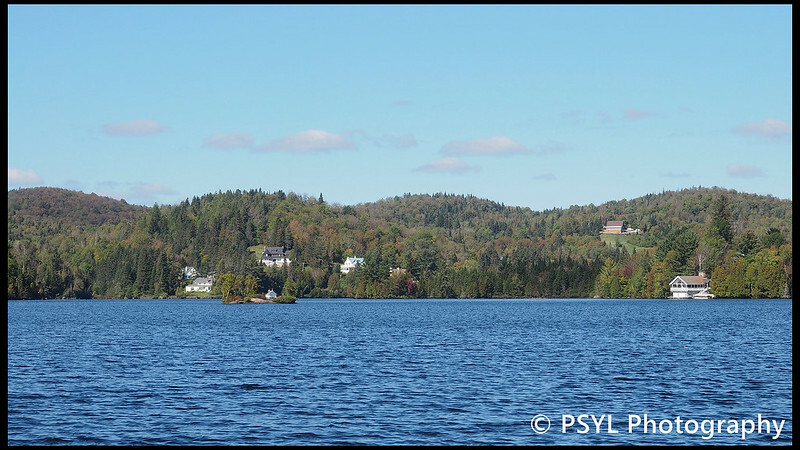 We first visited Gatineau Park and then took a boat ride on Lac des Sables in Saint-Agathe. Lac des Sables is probably most well-known for the expensive houses owned by rich people along its shoreline. The weather has been quite perfect lately. It is approaching those days when some of the leaves are just starting to turn their color but are still on the trees, and you just want to be outside and bask in the warmth from the sunlight. I walked to the Ornamental Gardens and Fletcher Wildlife Garden (FWG) yesterday to take some photos. 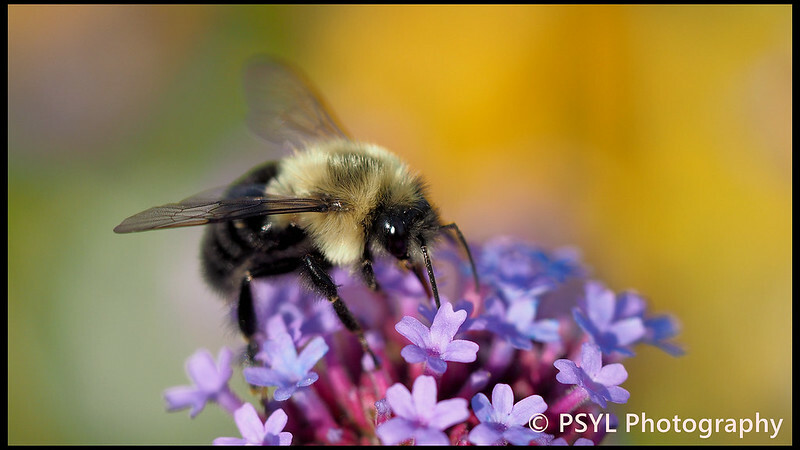 Bombus sp. at the garden. Our pollinator group did two more pollinator observations (plus an single-audience pollinator talk) on campus this month since my girlfriend and I returned back from Portland. And here are some of the photos. 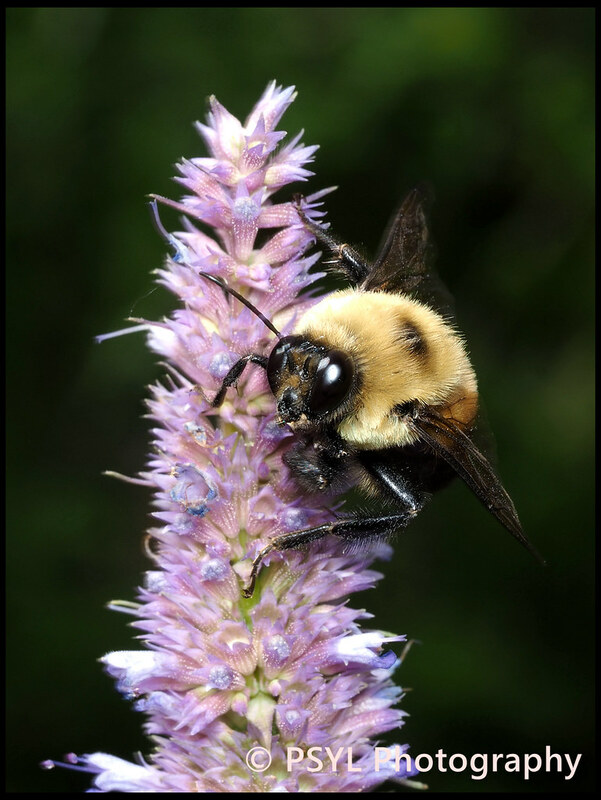 A Bombus griseocollis queen missing her left antenna on anise hyssop (Agastache foeniculum). My girlfriend and I just spent a rewarding but exhausting week in Portland, Oregon attending the Ecological Society of American (ESA) 2017 Annual Meeting. Aside from going to presentations, eating, and sleeping, there was not much time to explore this interesting city. 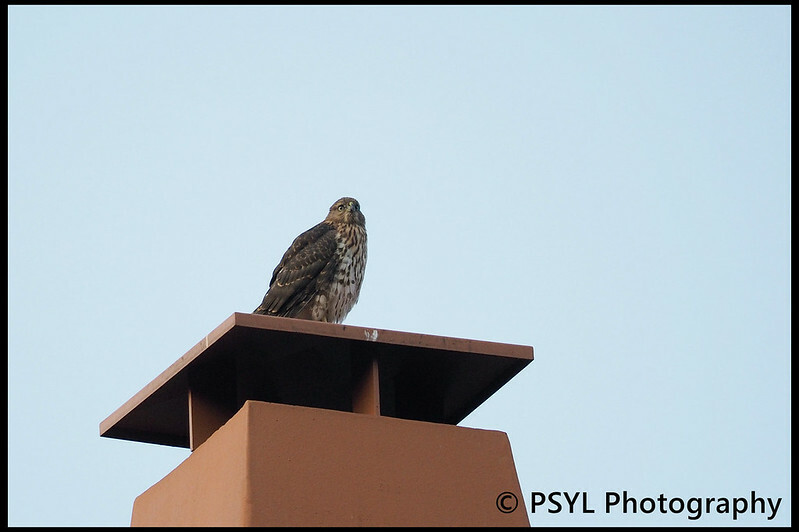 For example, we woke up very early one day and went for a stroll around a park (Laurelhurst Park) in the neighbourhood, where we came across two young Cooper's Hawks (Accipiter cooperii). Woodpecker in FWG & La Machine in Ottawa! Yesterday morning my girlfriend and I attended a birding workshop at Fletcher Wildlife Garden hosted by the Ottawa Field-Naturalists' Club. 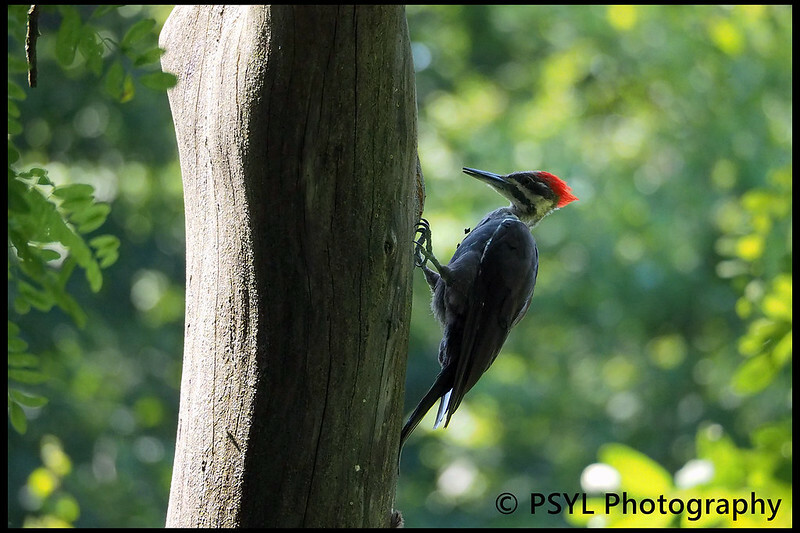 The highlight of the workshop happened after the workshop ended and we saw a female Pileated Woodpecker (Hylatomus pileatus) pecking on a tree. As I mentioned last month, there is a group of pollination-enthusiasts conducting weekly pollinator observations on uOttawa campus. Here are some of the insects and plants we have observed this month. 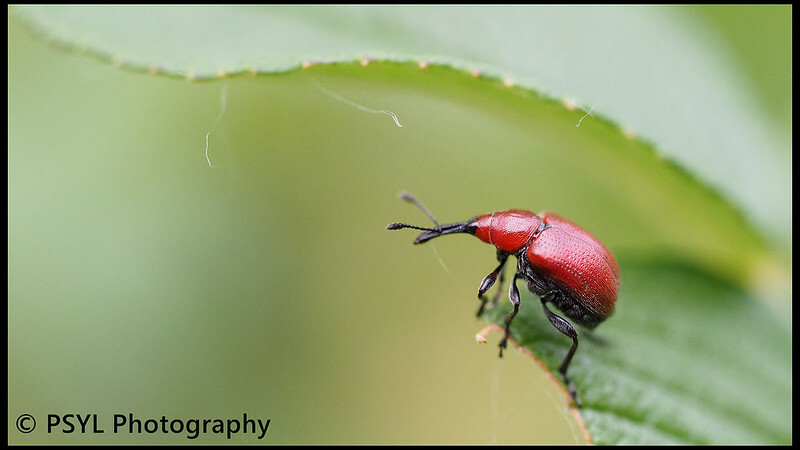 Because of all the insect photographs I am taking, I bought a small flash this month and started incorporating a diffuser and reflector into my macrophotography based on the tutorial from this blogger.